Healthy food plays a vital role in the overall development and growth of children. Proper nutrition during initial stages shields a child from various diseases and infections that can obstruct age-appropriate growth. Undoubtedly, a healthy childhood is the foundation for a healthy life. And, this where The Akshaya Patra Foundation's role becomes significant. Just like WHD aims at providing universal health care for all, Akshaya Patra aims at providing a healthy start to life by providing wholesome and nutrition-rich meals to growing children. Akshaya Patra, one of the oldest Indian mid-day meal NGO have been supporting health and education of school-going children by providing them with nutritious meals on each school day for the past 18 years. Currently, Akshaya Patra nourishes 17,62,133 school-going children in 15,024 Government and Government-aided schools across 42 locations in India. The NGO also provides wholesome food to 3 to 6 years old children, pregnant women and lactating mothers in Anganwadi centres - a step to provide a healthy foundation during the critical stages of growth. Presently, Akshaya Patra serves nutrition-rich meals to 1,61,410 children (aged 3-6 years) at 4,786 Anganwadi centres and 6,000 pregnant women and lactating mothers across 323 centres. Hygiene, cleanliness, and quality are key factors Akshaya Patra abides by while preparing food for millions of children. It has adopted industry standard processes in preparing the most hygienic and nutritious meals for school children and Anganwadi beneficiaries. Presently, Akshaya Patra operates 43 kitchens across 12 states in India catering to schools in urban, semi-urban, and rural areas. 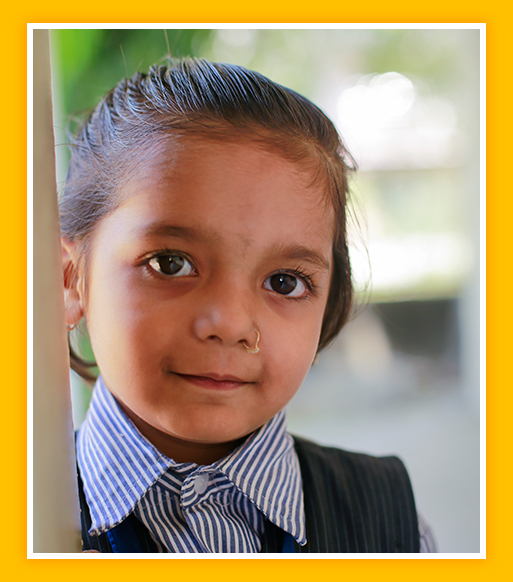 Akshaya Patra operates both centralised and decentralised kitchens to reach out to maximum children. All the kitchens serve locally palatable meals to children so that they enjoy and readily consume their meals thereby receiving the required nutrition for their growth. All Akshaya Patra kitchens mandatorily adheres to processes and systems such as Standard Operating Process, ISO 22000:2005 Standards, Food Safety Management System, Good Manufacturing Practices, Good Hygiene Practices, Supplier Quality Management System, FIFO & FEFO, Food Nutrition Chart and Recommended Dietary Chart. Healthy food, healthy childhood, healthy life is a right of each child. This World Health Day, be a Health Champion by gifting the everlasting goodness of nutrition to young children. Your contribution to Akshaya Patra will directly transform lives of millions of children by empowering them with health and education. Plate is a basic requirement to serve meals. A clean plate promotes hygiene and effectiveness of nutritious meals.